“shhhh…be quiet, they won’t start the party if they know you are here”, whispered my 10 year old. Staring into the semi-darkness; illuminated only by the faint glow of a 100 stars, I lay next to him, careful not to twitch a muscle. After all, I was here to watch the most amazing party that I’d only heard a lot about. I didn’t want to risk anything that could jeopardize my chances of being part of this one of a kind, magical event. 10 minutes of total stillness went by. Well, the best things in life are worth the wait, or so I’ve heard. Silence for another 15 minutes. My eyes had got used to the darkness by now. And then, I heard a noise – a soft rumble. It grew louder by the minute. I turned my head to the right and found the source of the noise – my 10 year old son snoring away to glory. His face peaceful and radiant, illuminated softly by the glow of 100 glow-in-the-dark stars stuck to the ceiling of his room. Next to him, with eyes wide open, was Mr. Leopard – his close confidant for 6 years now. Mr. Leopard, as his name suggests, is a leopard. And a stuffed one at that. Mr. Leopard had come into our lives when my boy was 4. Unlike most other leopards, we picked him up from the stuffed toys section of a superstore. He was christened, quite creatively, as Mr. Leopard by our then 4 year old himself. 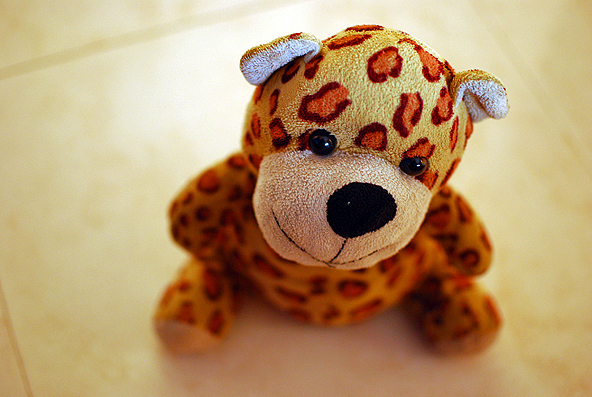 Since the day he came into our lives, Mr. Leopard has been my son’s constant companion, and has played a big role in helping other toys ease into our family. 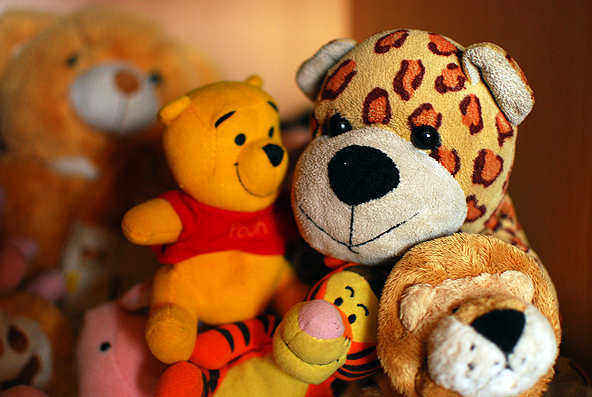 Mr. Leopard and his friends from the toy cupboard apparently start partying after the adults in the house go to sleep. This is the party I was trying to sneak into. It is July – just a month before my 10 year old son turns 11. He will soon outgrow his Mr. Leopard. But for us, his parents, Mr. Leopard will always remain a treasure trove of fond memories. My boy is fast asleep. I guess the party isn’t happening tonight. Mr. Leopard and his gang must’ve detected the presence of an adult in the room. It’s time for me to sleep as well. It’s such a joy to rest under 100 glow-in-the-dark stars. And dinosaurs. Good night fellas! 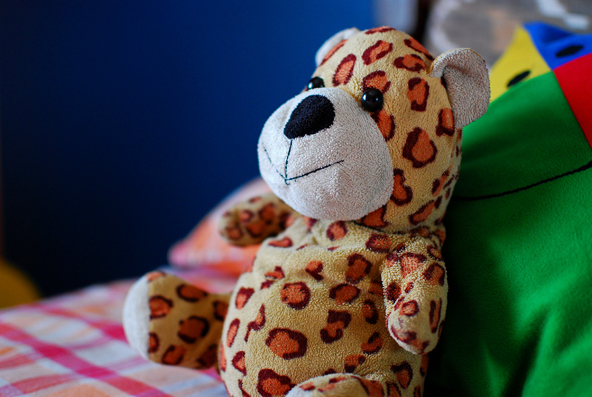 Does your child have a favourite toy like Mr. Leopard? Why don’t you tell me all about it.